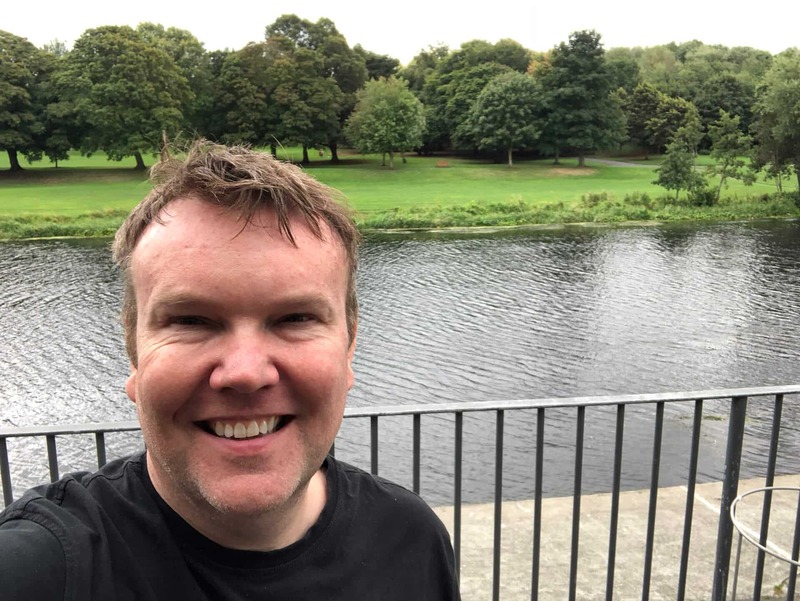 After an awesome visit last September I am delighted to be returning to Dublin in 2018 to teach the deep tissue massage courses. 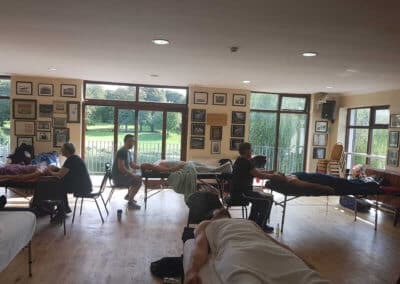 The massage training courses in Dublin will be held at the Commercial Rowing Club, based in Dublin 8 with it’s truly stunning views over the river Liffey. I will be offering both the Raynor Massage Certificate and Diploma Course. 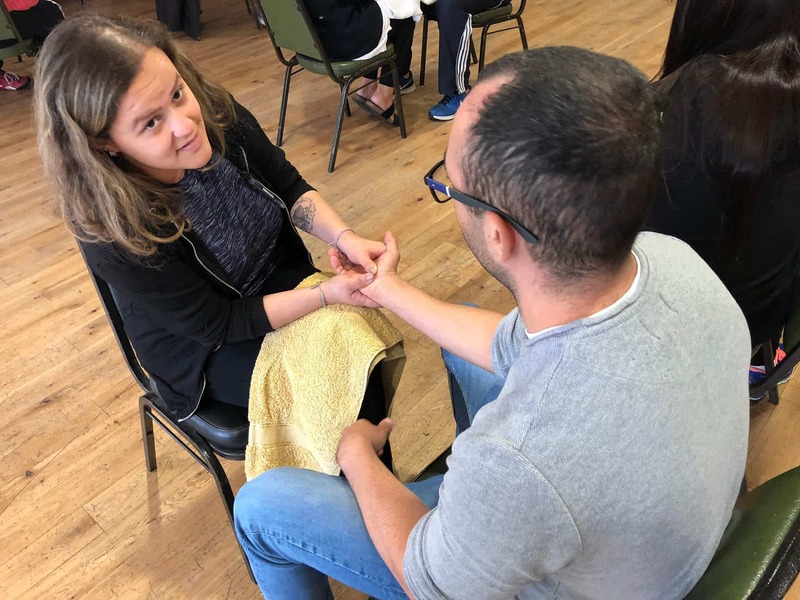 Let me tell you more about the these courses and our style of teaching massage. Our training really is hands-on. We don’t believe that massage is best taught with students memorising information from books. 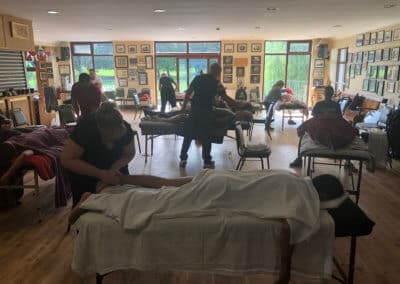 Instead, we use traditional methods of teaching where you will get to watch massage demonstrations and then get to try it yourself. We feel it’s really important to also get to feel the massage too. So every day you will be watching massage, receiving massage and of course giving massage. 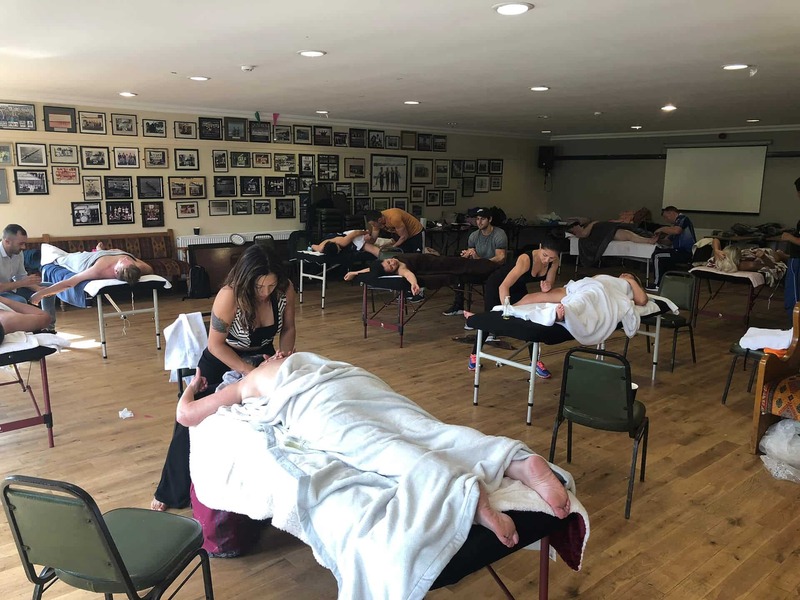 There is no requirement at all for students to study in-depth Anatomy and Physiology in order to learn how to massage safely to a highly professional standard. All our courses are suitable for complete beginners. There is no need for any prior qualifications and there are no written exams. 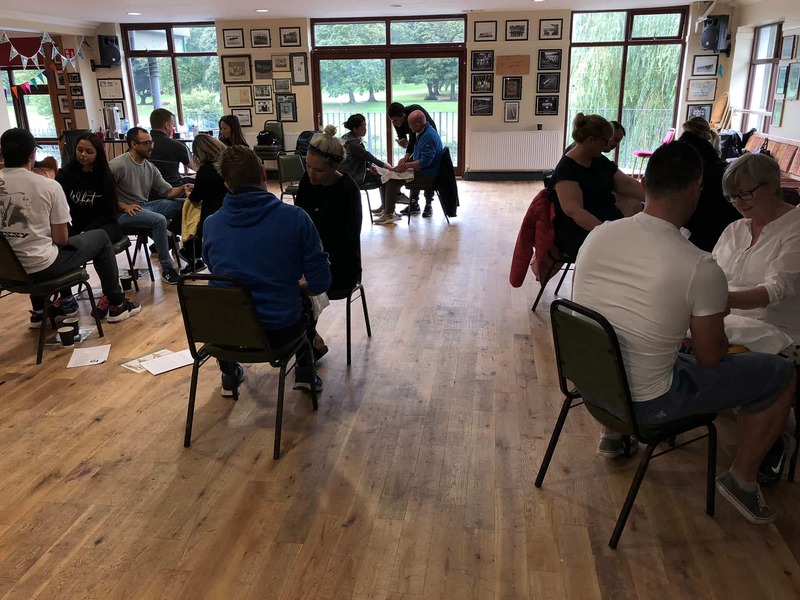 Instead you will be assessed and given feedback throughout the course. The course schedule has been carefully designed in a way that really helps build students confidence each day. 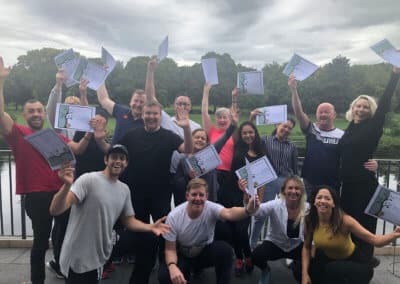 We use revolutionary training methods that ensure you get to practise every day all the new techniques whilst repeating what you have learned on the precious days of the training course. 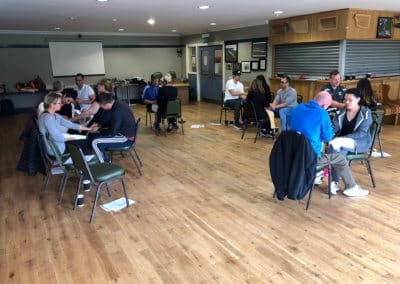 Dave Taylor will be teaching both the Certificate and Diploma course at the Commercial Rowing Club in Dublin. Dave was a student of these courses back in 2010. 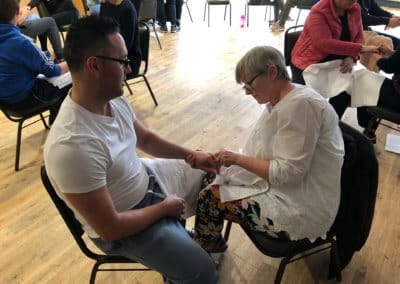 He came with no prior experience of massage and upon graduating promptly set up his own clinic in Sutton, Surrey. 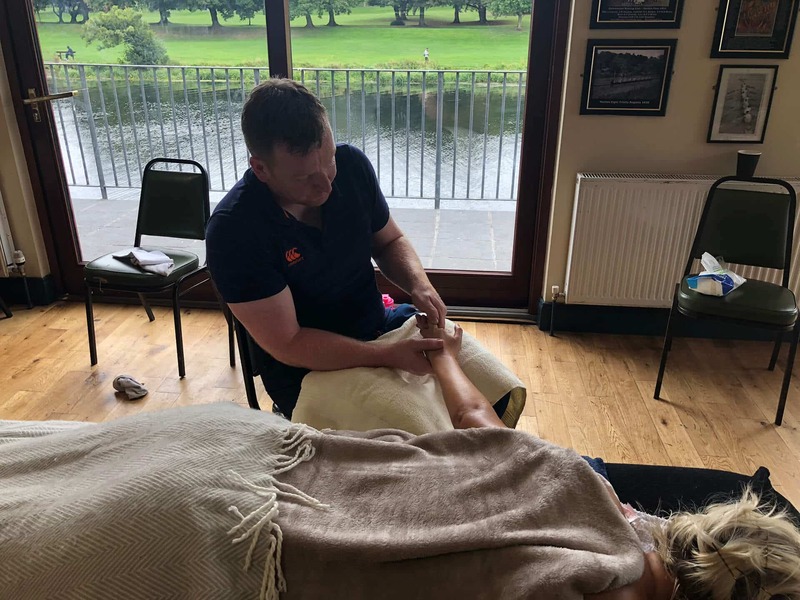 Dave now has two other therapists working with him in his clinic and is usually booked up months in advance with regular clients who really appreciate this particular style of deep tissue massage. 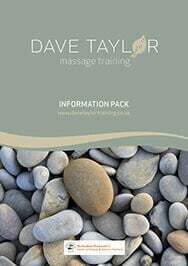 Dave is not just some person who teaches massage. He is a working massage therapist and brings to you his day to day experience of treating clients using this amazing therapy. Not only that, but he is passionate about the business side of things teaches not only how to be a skilled massage therapist, but how to make it work financially so you can make this a brand new career. It’s easy to get to the rowing club. By car it’s a direct route from Dublin City Centre that will only take 15 to 20 minutes. There is parking spaces available at the club. Many buses stop right outside the clubhouse. You can get the 25/26, 66/66A/66B and 67 all the way to the clubhouse getting off at stop number 2193. 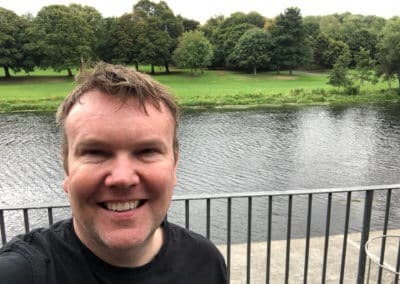 We will be using the Riverview Function Room, which is ideally situated with gorgeous views over the river Liffey and weir at Islandbridge. Teas and coffees will be available throughout the day. There is a kitchen facility available with microwave and fridge with everything you need to store and prepare your packed lunch. Please note: Deposits are nonrefundable. For more information please see our terms & conditions. The 5 day Certificate course is ideal for those looking for an introduction to deep tissue massage. This hands-on approach to learning will give you good practical experience of deep tissue massage using the Raynor technique. The Certificate that you gain is recognised by the leading insurance companies. This means that all graduates will be able to get full professional indemnity cover with this qualification. Once you are covered by insurance then you can start massaging professionally. 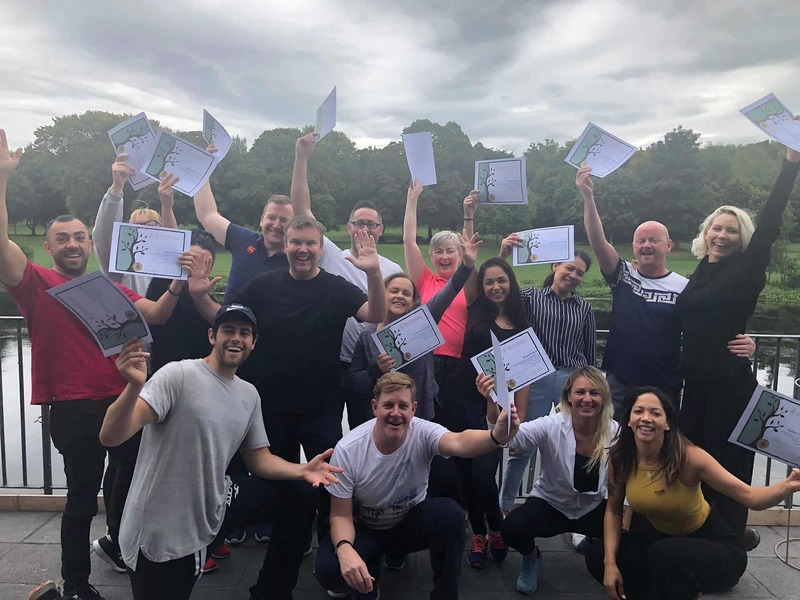 The Certificate course is also the ideal solution for those already familiar with body work, for example, Personal Trainers/Yoga Instructors and just need to formalise existing skills with a recognised qualification in massage. Professional ethics of massage therapists and the INTA Professional Code of Conduct. 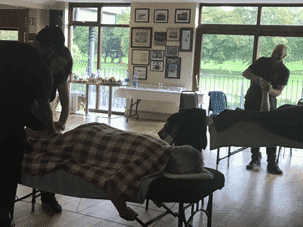 Dave Taylor will then do a demonstration of various massage techniques on a volunteer student from the class. This demo will concentrate on the back, hands and arms. During the afternoon session the students get paired up and start practicing massage on each other. Dave is always close-by supervising everyone. Each student will spend half the afternoon session giving a massage and the other half, receiving massage. How long should a Raynor Massage last? 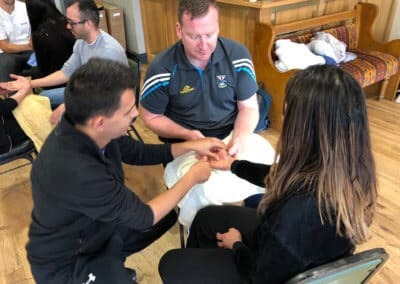 A good student will learn a lot from receiving a massage as well as from giving one, which is why so much emphasis is placed on all students receiving massages in class as well as providing them. 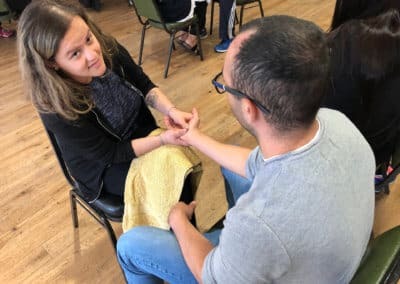 You will experience how working at different depths feels and the powerful feeling that happens when tension is released that your clients will have. As you progress the previous day’s work will be revised and refined. Your teacher will discuss the how toxins are released in the body. 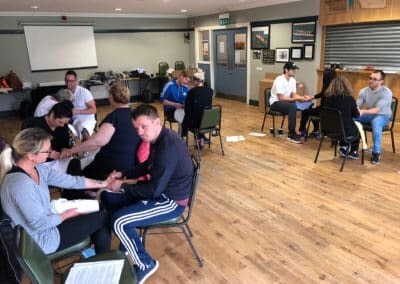 The term “the healing crisis” will be covered and what it means in natural forms of therapy and how it applies to the practice of Raynor Massage. The morning session will start with a group workshop demonstrating massaging the neck, head and face. 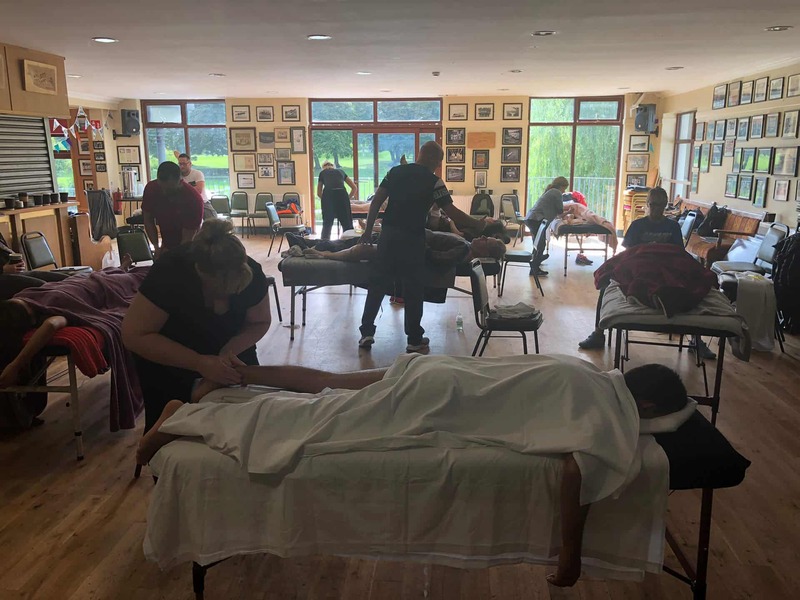 There will then be another massage demonstration on one of the students showing everything from the previous days and including the front of the legs, neck head and face. After lunch the students will once again pair up and swap massage trying out all the techniques taught so far. The morning workshop will be a demonstration of gentle stomach massage. It is very common for people to have emotional tension built up in their bellies. Think about the many times you’ve heard someone say “I got knots in my stomach from that” or “I felt like I’d been kicked in the gut”. Certain abdominal conditions, such as ulcers, Irritable Bowel Syndrome, menstrual problems, and even Chronic Fatigue Syndrome can be helped with Raynor Massage Techniques. 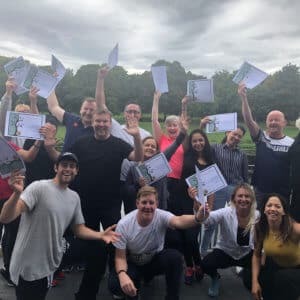 The release of emotional tension that had been held in the abdominal area, along with proper breathing practices can make a huge difference in the health and wellbeing of your clients. 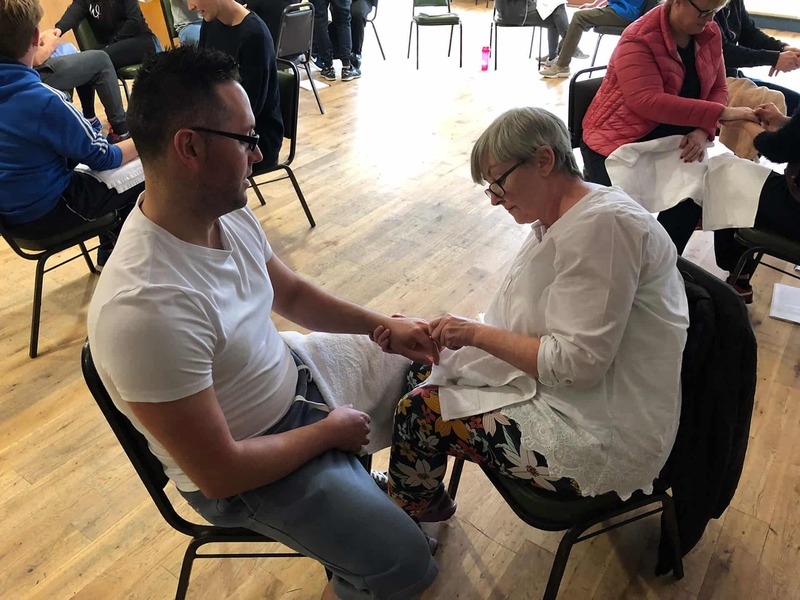 There will then be a longer demonstration putting everything we have learnt previously to show a full body massage. 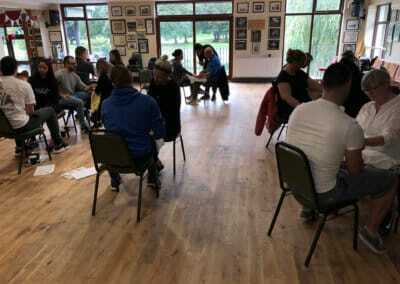 After lunch the students will then get to massage the course tutor, Dave Taylor and receive some individual feedback. This day will be dedicated to the students doing timed full body massage swaps under assessment. 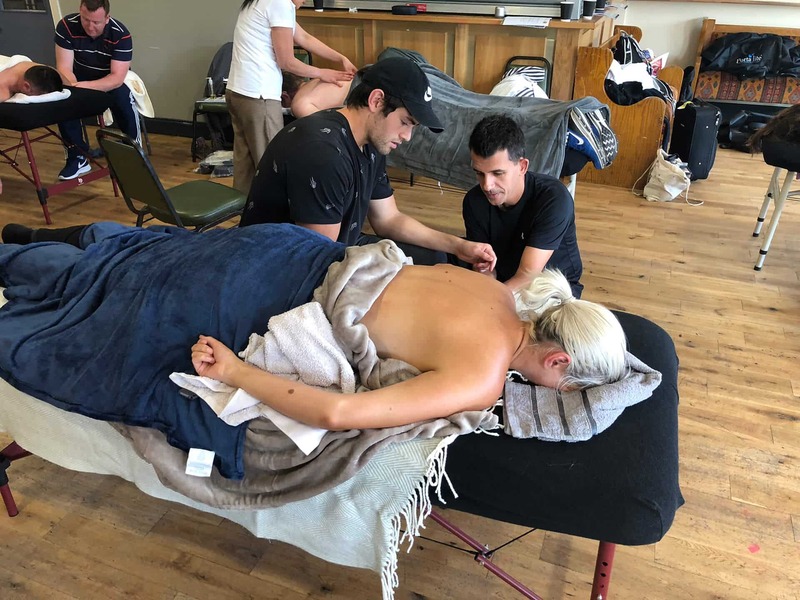 At the end of the day if you have shown that you fully understood the concepts, have successfully demonstrated the techniques and have satisfied all the professional conduct requirements of the Brandon Raynor School of Massage and Natural Therapies, then you will be awarded your Raynor Massage Certificate. Parts of the United States. 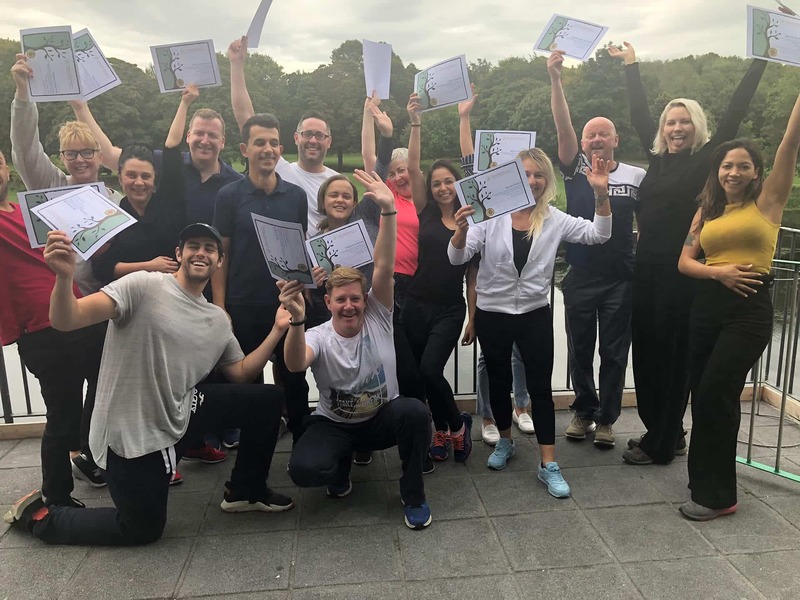 The majority of students who have earned their Raynor Massage Certificate decide to continue on and enrol in the Raynor Massage Diploma Course to further develop their massage skills. This also allows them to provide additional treatments like aromatherapy on their clients. 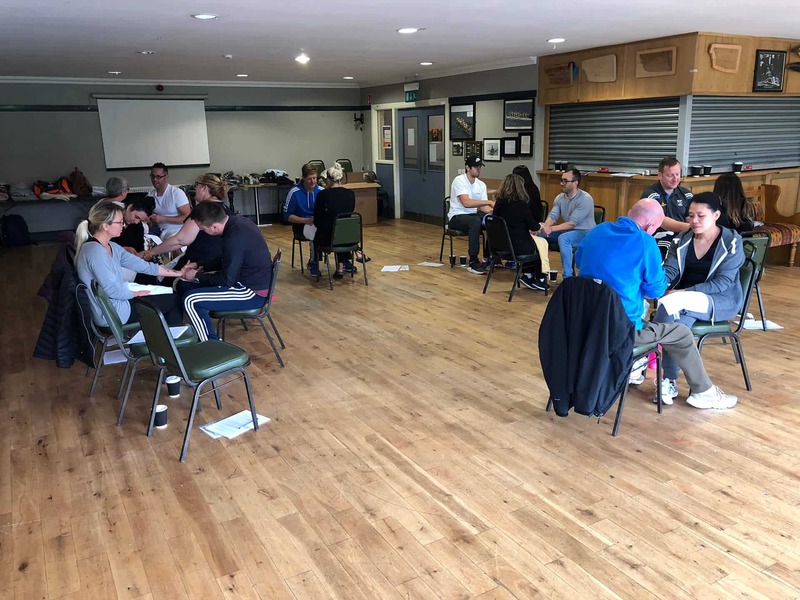 Some decide to take this course immediately after earning their Certificate, as the Diploma Course will often be scheduled for the following week. 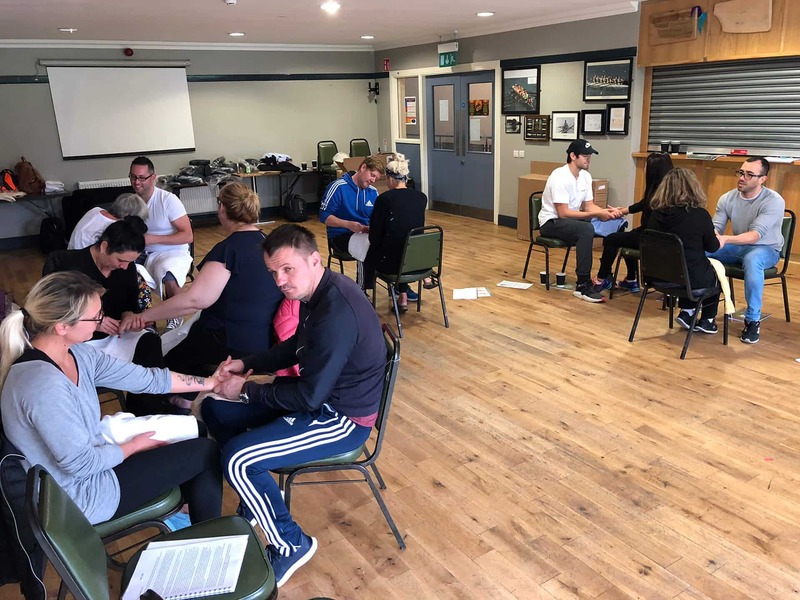 Others decide to gain some practical experience first and return at a later date to take the Raynor Massage Diploma Course. For those of you wishing to work full time as a massage therapist then I’d recommend that you train further to Diploma level. 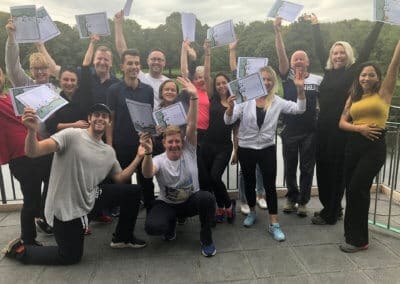 This deep tissue massage Diploma course has everything that you need to work as a massage therapist. We really expand on the training covered in the Certificate course and show you more advanced techniques. For those of you wishing to offer Sports Massage then you will find the section that teaches you stretches and adjustments really useful. 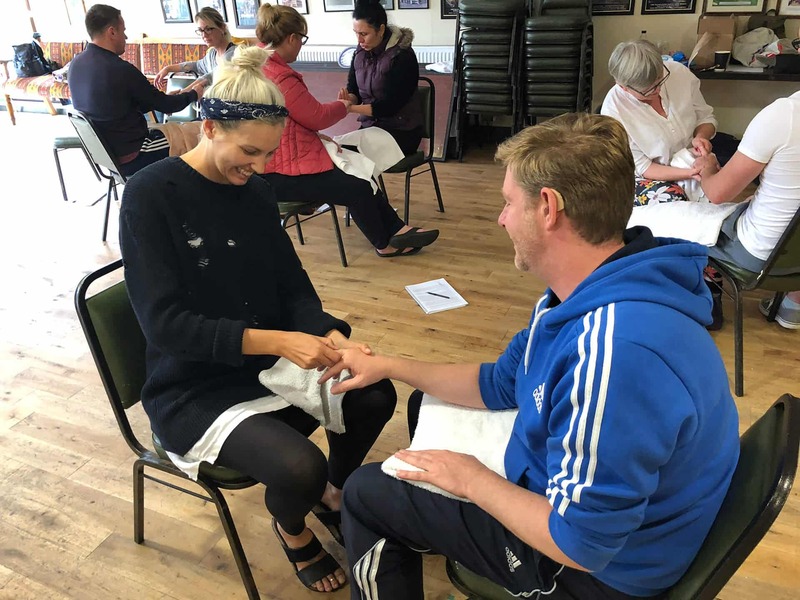 The Diploma course also covers Pregnancy Massage and includes and introduction to Aromatherapy and Reflexology. 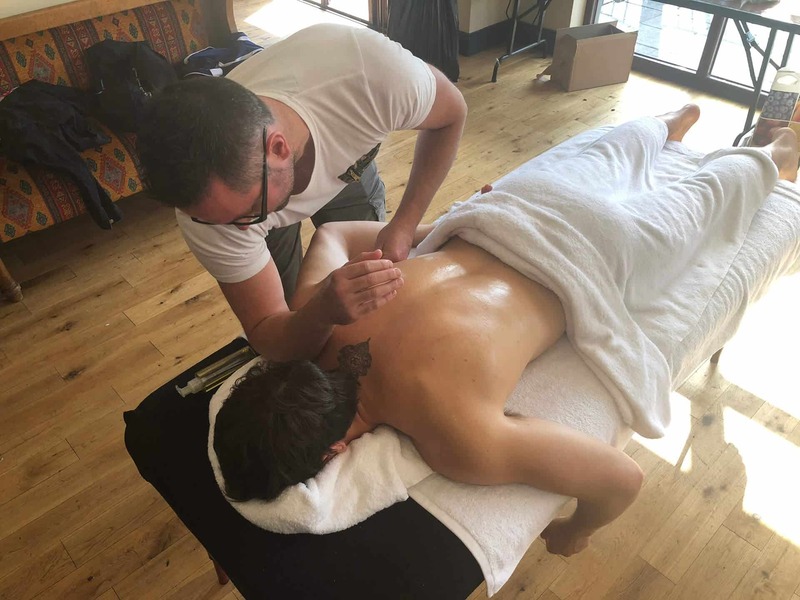 Dave also goes through all the tips he learned when setting up his own clinic as a massage therapist during a class dedicated to the business side of things. On the first day of the Massage Diploma Course we will first of all have a student introduction. We will discuss areas of the massage technique from each student that they would like addressed so that this can be incorporated into the rest of the week. Then the teacher, Dave Taylor, will give a full demonstration and show you how to work the side of the body, including the hips. In the afternoon the students will be paired off to swap treatments. You will be taught how to blend the various oils in the proper ratios so they can be most effective in promoting the process of healing. You will begin using them while you practice both light massage techniques and deep tissue techniques. You will learn how to mix the oils to fit the needs and the nose of the fellow students you are massaging. All aspects of massage and appreciate how it affects health and healing.